Home > Can Taylor Swift Sue Kanye West for Her Naked Appearance in His “Famous” Music Video? Can Taylor Swift Sue Kanye West for Her Naked Appearance in His “Famous” Music Video? The video is deliberately grainy and low resolution, which makes it difficult to discern whether the people in it are real or digitized or waxworks, and does not contain any disclaimer that the people represented in the video did not actually appear in person. An online magazine reports that Kanye spent over $750,000 for the waxwork figures, and that they took over six months to create. During the entire video, the famous “people” are depicted sleeping next to each other in bed. Only Kanye wakes up and opens his eyes at the end of the video. Is Kanye telling us that only he is enlightened? People have described the video as “creepy,” “provocative,” “sickening,” and “like serial killer footage.” Kanye has said the video is based on a mural called “Sleep” by artist Vincent Desiderio, and is a comment on fame. What that comment is, though, is anyone’s guess. Taylor Swift, for her part, has been plastering the news with photos of her seemingly sudden, whirlwind romance with British actor Tom Hiddleston, with stops in England, Rome, a wet and splashy Fourth of July party, and now Australia. Is this a deliberate public relations tactic to avoid the Kanye provocation? Or is Taylor making her own elaborate music video? (4) appropriation of a person’s name or likeness for the defendant’s advantage. The two types of invasion of privacy claims that are most suitable to Kanye’s Famous video are “false light” and appropriation of likeness. Portraying a person in a false light entails Defendant’s dissemination of information that may be false or erroneous that places plaintiff in a derogatory and false light and that would be offensive to a reasonable person. Misappropriation of a person’s name or likeness is the unwarranted unauthorized publication of that person’s name, photograph or likeness that causes an injury. The elements of cause of action for tort of misappropriation of a person’s name or likeness are: Appropriation of a person’s name or likeness to the defendant’s advantage, commercially or otherwise, without the plaintiff’s consent and causing injury to the plaintiff. 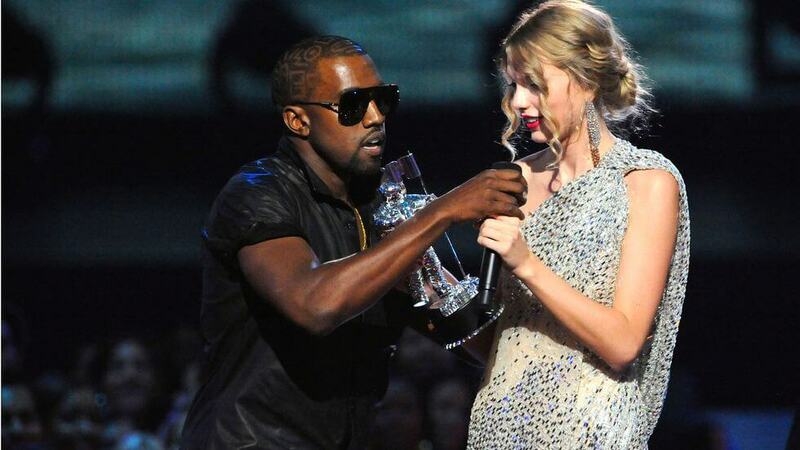 Could Taylor Actually Recover Significant Monetary Damages for Kanye’s Video? At first glance, it seems like all Taylor has really suffered is embarrassment. And it very quickly becomes obvious to all but the most gullible of people that Taylor did not actually appear in the video. And while the waxwork model of her body may be an inaccurate portrayal, it’s far from being a representation that “injures” her. In the long run, Kanye’s antics may even boost sympathy and support for Taylor, which could translate into more publicity, more fans, more record sales, and more concert tickets sold. It’s unlikely that any of the famous people represented in the video will sue Kanye, and none have made serious threats. It seems a lawsuit would accomplish little other than sending more publicity Kanye’s way and enriching the attorneys. What do you think? Is this video a sign of Kanye’s deteriorating brain damage or his evolving artistic sensibilities? Is there anything such as bad publicity for people like Kanye or Taylor Swift? Is ignoring Kanye the best revenge?